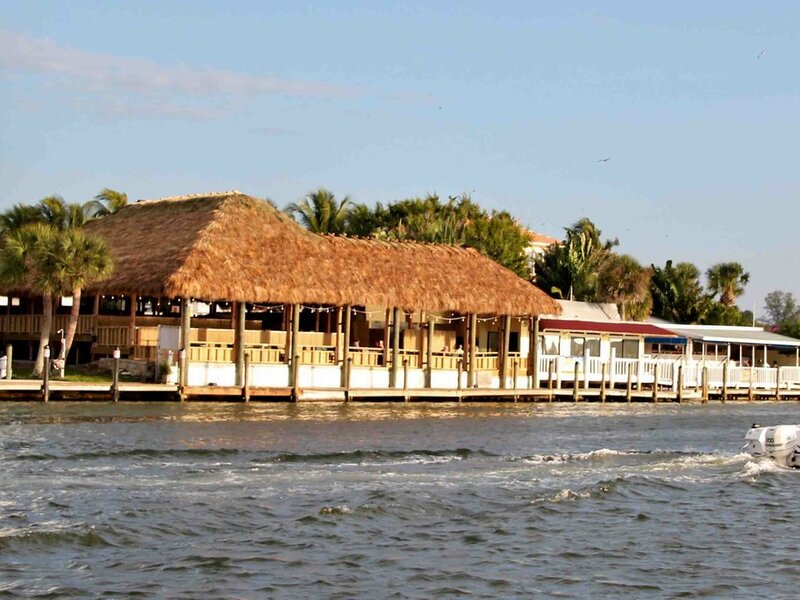 Pop's Sunset Grill is a Florida beach bar located in Nokomis. Discover this great Florida beach bar. Pop's Sunset Grill is located on the Intracoastal Waterway across from Nokomis Beach, just north of Venice. Pop’s is one of Western Florida’s favorite dining landmarks - well loved by locals and tourists alike for its casual atmosphere and fresh local fare. It’s a superb place to relax, take in the view of the beautiful surroundings while enjoying a nice meal or refreshing beverage. And the friendly staff only adds to the experience. This establishment proves you can still visit Old Florida. This Florida beach bar is frequently busy as it is just about the only place on the Intracoastal in this area where one can dock their boat and dine. Boats are continuously pulling in and docking. There is 125 feet of dock space, but it can be busy even on a lazy Sunday afternoon. Pop’s Sunset Grill has recently added a new multi-level elevated bar under a spacious tiki structure. 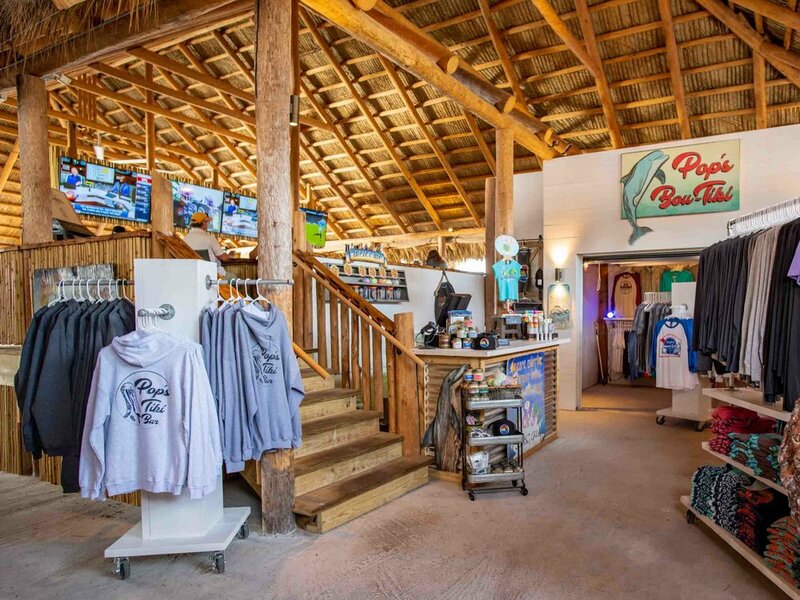 “Pop’s Tiki” is built on the former Urbanek's side of the restaurant and offers nearly 180 degree views of the Intracoastal, an awesome bar with four 75 inch TVs, fire pit tables, an expanded gift shop - Pop’s Bou-Tiki - and live music. With a capacity of more than 200, Pop’s Sunset Grill has a comprehensive collection of seating available. There are inside and outside options; tables along the dock, tables under the tiki structure and lots of space at the each of the three bars. If you want to sit at a table you must order food. No problem. The wide-ranging menu will suit most tastes from flatbread pizzas to wood fired grilled burgers to mouthwatering appetizers and, of course, fresh seafood. There is live music at Pop's on Friday and/or Saturday nights and on Sunday afternoon. The local wildlife such as birds, manatees and dolphins are ever present and add to the character. You can even enjoy Pop's all winter long with the protection of Pop’s Tiki, indoor seating and fire pit tables. It’s a must stop on the Gulf Coast where you can enjoy great food, good people watching, genuine hospitality and some live music. Wonderful!